The Galand Haas Team offers unparalleled service to ALL clients. Your complete satisfaction with our service and representation is our number one priority. We've built our business around this priority and we are committed to saving you both time and money, whether you are a home buyer or a home seller. There are many aspects to a real estate transaction and a single agent simply cannot provide the quality of service and communication you desire and deserve. This one agent cannot deliver the level of service that we provide. Galand Haas was born and raised in Oregon and has resided in the Eugene/Springfield area since 1969. A graduate of the University of Oregon, he is married to Pamela Haas and they have three children: Sara, Ryan and Megan. Galand started his real estate career in 1989 and soon established himself as one of the top Eugene/Springfield Realtors. He has pioneered marketing and management systems and increased the professionalism and quality of service in the real estate industry. Galand attributes his success to his high energy, strong ethical commitment, dedication to providing superb service and to his family and friends who have supported him along the way. In addition Galand is recognized as one of the top Real Estate Agents nationally and has pioneered many Real Estate internet marketing systems that are currently used by thousands of agents across the United States and internationally. 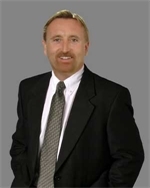 Galand is a sought after speaker and trainer on the subject of Real Estate marketing. Galand is also currently the Operating Principal of Keller Williams Realty, Eugene and Springfield and is one of the founders of the national corporation, Realprosystems. Lisa is a licensed Real Estate Broker and has been licensed since 1997. She specializes in the existing home market, including pricing and home inventories. Born and raised in Eugene, she is a graduate of the University of Oregon. In her free time, Lisa enjoys spending time with her husband, Kent and sons, Jacob and Derek. She also enjoys many outdoor activities, including running, walking, softball and attending University of Oregon Duck football games. She is a multi-million dollar producer with a proven track record. Realtor Since 1997, Multiple Listing Service Member, National Association of Realtors Member, Eugene Association of Realtors Member, Women's Council of Realtors Member, Oregon Association of Realtors Member, RE/MAX 100% Club, Inducted into RE/MAX Hall of Fame 2009. Sara is a licensed real estate broker of Keller Williams Realty. Sara epitomizes integrity, energy, hard work and creative service in every detail of your real estate transaction. Sara grew up in the Eugene/Springfield area and started her sales habit at the young age of 12 while working in the family Real Estate business. Following in her Father's footsteps, Sara continued with a successful career in Real Estate sales. Sara is a family woman with a devotion to God, her husband Nick and their daughter Addison. In her free time Sara enjoys all outdoor activities. Including working out, spending time with her family, working on her property in the country and traveling. Sara has been trained and inspired by some of the best Real Estate coaches and agents in the country. In her practice of Real Estate Sara is well known for great customer service, consistent communication, strong attention to detail and ensuring a positive experience for all parties in a transaction. Born and raised in the Northwest, Oregon is her home. Marina has resided in many different cities in Oregon, and can appreciate all the amenities Oregon has to offer. Understandably when it comes down to making any real estate decision it can be difficult big or small. I want to be certain that each and every client receive the best experience imaginable. Prior to starting her Realtor business, Marina spent 4 years as a Medical Office Specialist and takes great pride in client care management, abiding to laws and regulations, her professional demeanor, superior work ethic, and ability to problem solve. Before joining The Haas Real Estate Team with Keller Williams Realty Marina worked for a diverse range of organizations, including a medical office, business marketing, and customer service retention. In these roles, Marina was responsible for taking care of each client's requests and surpassing their expectations with compassion and professionalism. Marina specializes in real estate for Lane County. Successfully serving a range of clients including first time home buyers, individuals, families, investors, veterans, and those applying for down payment assistance. Marina enjoys taking care of her clients and makes that her upmost priority with fully executed communication, outstanding service, compassion, and professionalism. She is newly engaged, loves spending time traveling, fishing, hiking, cheering for our DUCKS!! !, and donating/volunteering in Lane County.